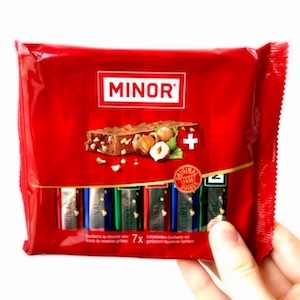 Every child in Switzerland knows the Minor Chocolate-Sticks. Unsurprisingly, since they are so delicious! Get the package with 7 pieces with a total weight of 154 grams.